It's January and that means that most of us are trying to adopt a healthier lifestyle (again). Travelling can really frustrate your efforts for a lifestyle change. But it doesn't have to, and Amsterdam is definitely the right place to get healthier! The city is filled with healthy restaurants and bars, the people are very active and you will find that there are many places to get fit. While out and about in the city, there are many places where you can go for healthy breakfasts, lunches and dinners. Or opt for a sugar-free snack, a superfood power smoothie, a delicious vegan brunch, a freshly squeezed juice... Amsterdam has it all. SLA started with one store in Amsterdam, but due to its popularity, it now has four locations spread throughout the city. SLA is known for its salad bar where you can build your own salads, but you can also get soup, sandwich, tea and juices at SLA (which means 'lettuce' in Dutch). YAY Health Store & More is a raw food café, so none of their snacks and meals have been processed or cooked. Super healthy! They also sell sustainable products, organise workshops and host yoga classes. Trying to plan a dinner for your group of friends with varying diets? Pay a visit to Roots. 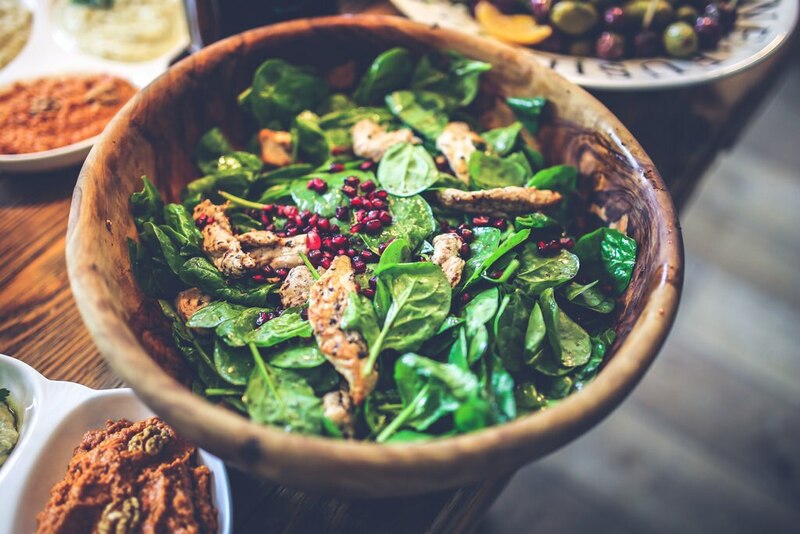 They serve food that caters for sugar, gluten and lactose intolerances as well as vegan diets. There is something for everyone! Also be sure to check out Sugarless. It offers meals for all kinds of diets. Whether you are eating sugar free, gluten free, vegetarian, vegan or following a paleo diet; Sugarless is the place to be. All their soups, sandwiches, salads and sweets are very tasty. 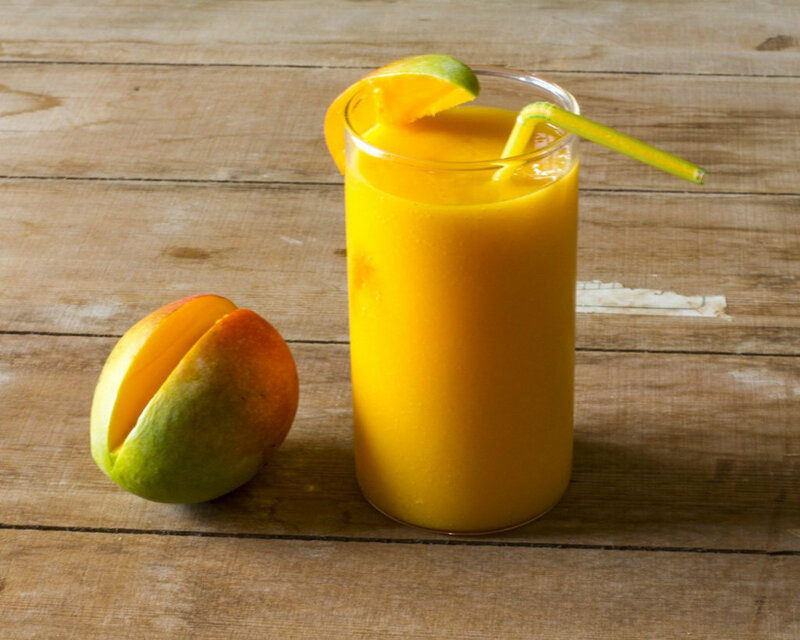 A few other healthy hotspots we can recommend are Dr Blend, Beter & Leuk and Vegabond. People in Amsterdam love to move! There are countless gyms, an endless amount of outdoor activities and at least as many other options to get your work out in during your visit to Amsterdam. 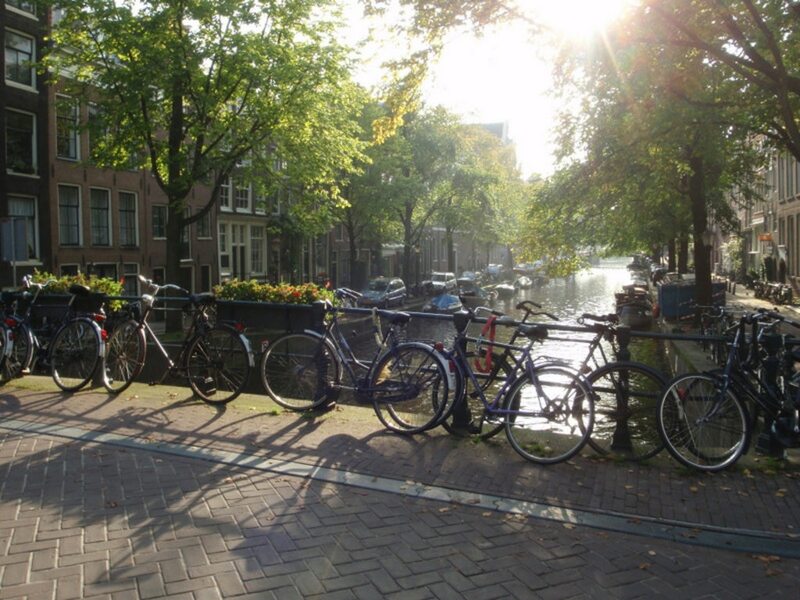 The most obvious way to be active and at the same time see Amsterdam is to discover the city by bike or on foot. You will see so much more while exploring Amsterdam this way! Forget about spending money on busy trams and buses where you can't even look outside. And why not plan your morning run along the canals? Visiting Amsterdam during the winter? Put on some ice skates and go skating! There are several locations in Amsterdam where you can do exactly that. The professional ice-skating rink Jaap Eden Baan, for example. 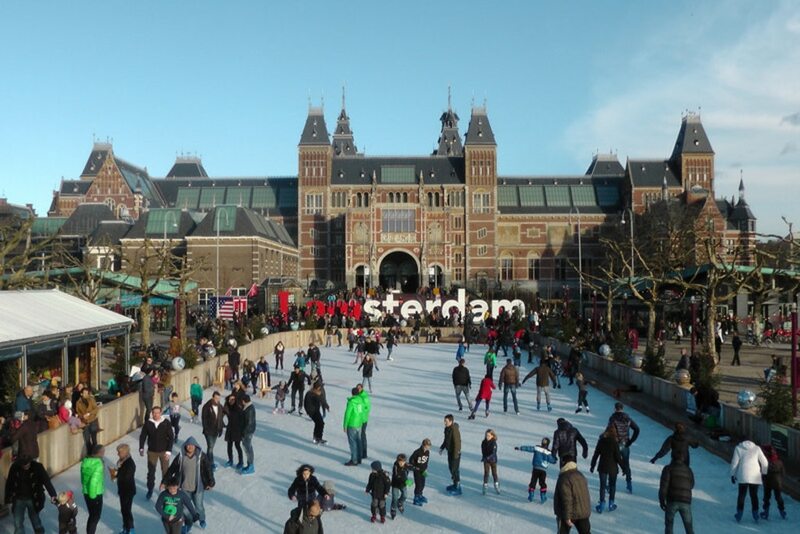 Popular ice skating rinks in the city centre are found at Westergasterrein, Museumplein and Leidseplein. If you are lucky, the canals will be frozen and you can go ice skating on natural ice. Close to the Central Station in Amsterdam, you will find the Klimmuur, a climbing wall. Go climbing and bouldering, or if you have never done this before, take a lesson before conquering the walls. In sunny weather, they open their roof for an outdoor experience. 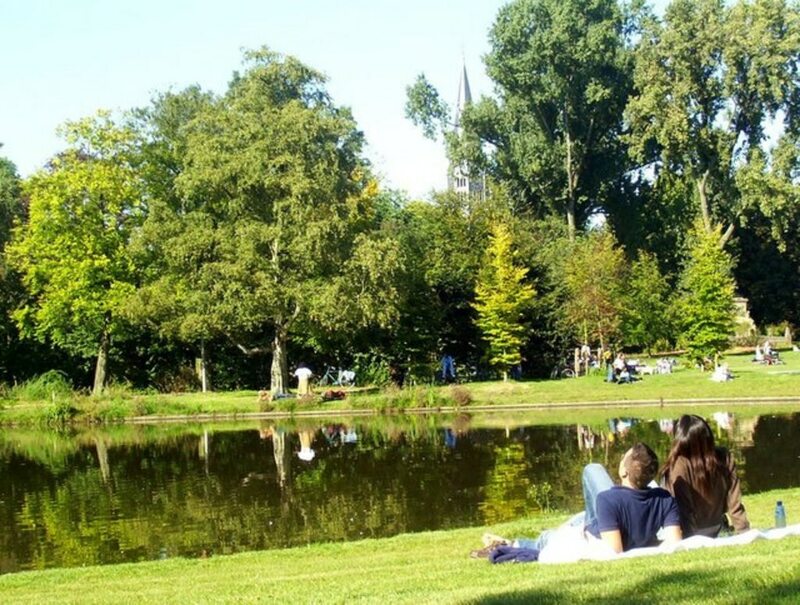 A popular destination for all kinds of exercise is the Vondelpark, a park in the city centre. A favourite activity is running, but football, tennis and boot camps are also beloved. If you are visiting during the summer months and are a skater, you can join the Friday Night Skate. Each Friday evening during the summer, a group of skaters start a route of about 20 km in the Vondelpark. Yoga is getting more and more popular in Amsterdam. There are many yoga studios where you can join in for a few lessons during your visit to the city. Or if you do not care for yoga inside, there are also classes held in the outdoors. Or how about a yoga class on the roof of the Volkshotel? Feeling inspired? Have fun on your trip and stay healthy! Check out our Amsterdam hotel deals to start planning your active adventure. This centrally located hotel connected to a shopping center overlooks the Singel Canal and is a brief walk to bustling Dam Square and yet close to the major sites of The Royal Palace, Flower Market and Anne Frank House. This hotel is 2.5 km from Schiphol Airport. Central Amsterdam attractions, including the Rijksmuseum, Anne Frank House, Dam Square, and Royal Palace, are about 14 km (8.6 mi) away. Located in Amsterdam City Centre, this luxury hotel is steps from National Monument, Dam Square, and Royal Palace. New Church and The Old Church are also within 5 minutes. In the city's historic center, DoubleTree by Hilton Hotel Amsterdam Centraal Station is a 10-minute walk from Oude Kerk, and 15 minutes from Dam Square. Guests can take a 15-minute tram ride to the Anne Frank House, and visit the Royal Palace en route. The airport is a 20-minute train ride away. Located in Amsterdam City Centre, this luxury hotel is within a 5-minute walk of Sexmuseum and The Old Church. Dam Square and New Church are also within 15 minutes. Located in downtown Amsterdam, this historic hotel is situated in the lively shopping and business district opposite the city's main train station, and with canal cruises across the street. This city-center hotel is a 3-minute walk from Amsterdam Centraal Station. Dam Square, Nieuwe Kerk, and the Royal Palace are among the many popular destinations within 0.4 km (0.3 mi). This Amsterdam hotel is about a 5-minute walk from Centraal Station. Dam Square, Oude Kerk, and the Royal Palace are all within 0.4 km (0.2 mi). The Anne Frank House is 0.7 km (0.4 mi) away. Opposite a large canal, this Amsterdam hotel is 300 metres from Rijksmuseum's art collection, 500 metres from Van Gogh Museum, and within 150 metres of a casino, Vondelpark, and designer shops. Set in a residential area of central Amsterdam, this modern hotel is 100 metres from a shopping mall with ATM, grocery store, and pharmacy, and 4 kilometres from the city centre. Providing panoramic views over the city and river, this Amsterdam Hotel lies within walking distance of the historical city center, the Central Station and cultural hotspots. Located in Amsterdam City Centre, this eco-friendly hotel is within a 10-minute walk of Zuiderbad, Rijksmuseum, and Van Gogh Museum. Concertgebouw and Stedelijk Museum are also within 10 minutes. Must book a Park, Sleep & Fly rate category to qualify. Offer valid anytime, subject to availability. Other restrictions may apply.